The more daylight is used, the better. 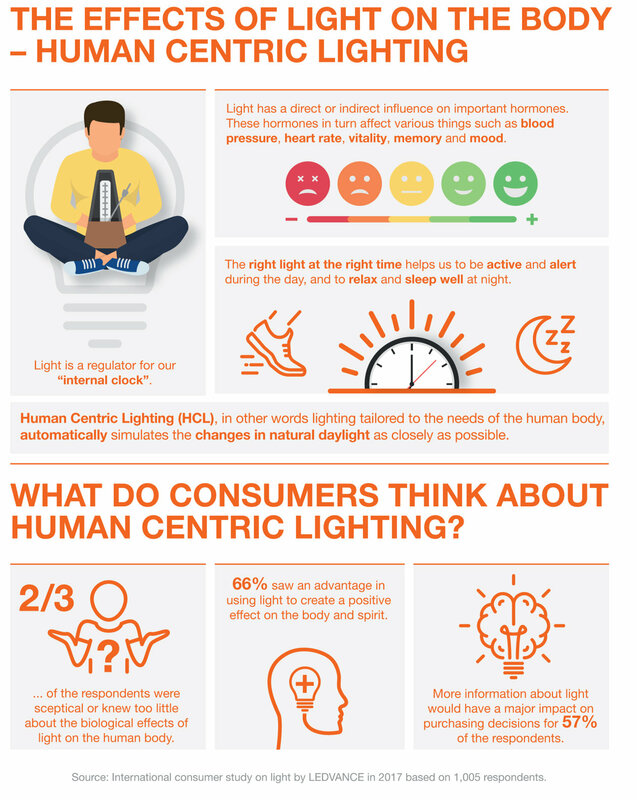 Intelligent HCL solutions should adapt automatically to the course of the day in terms of light colors, brightness and spatial distribution of the light. People are particularly predisposed to the biological effects of light in the hours after rising as well as at least two hours before going to bed. During this time, light helps to stabilize the day-night rhythm. 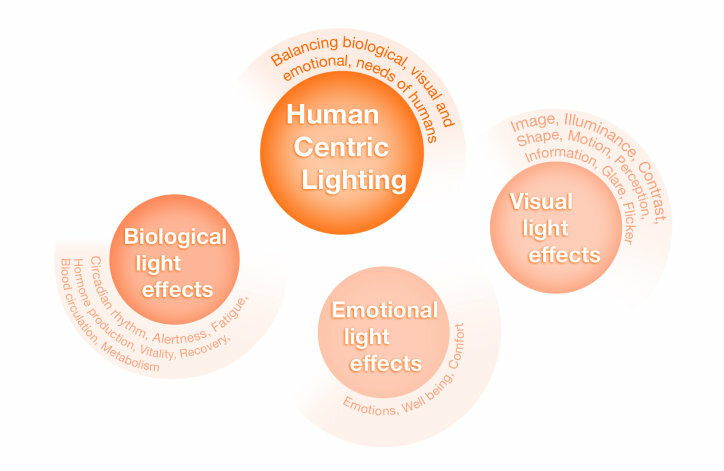 The most energizing light biologically is wide-area overhead lighting, which imitates the (blue) sky illuminated by the sun. Bright, cold white light with a high proportion of blue (e.g. 6500 Kelvin with a lighting intensity of 300 Lux on the eye) should therefore be used from the start of the day until midday as well as after lunch. Indirect light is ideal in this respect, which includes both ceilings and walls. Bright, cool white light helps to stay fit, focused and efficient throughout the day. Warm white, direct light without blue content (e.g. 2700 to 3000 Kelvin) is then better in the evening, as it helps our body to relax and prepare for the night. At least two hours before going to bed, only warm white light with the lowest possible brightness should be used. Computer or mobile phone screens should be used with care.